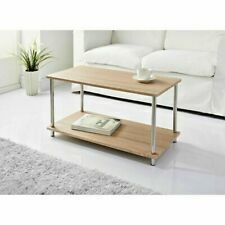 Stylish Table with the steel legs and a shelf underneath. Design: Oak effect. This stunning new product with a modern stylish design. Set of 3 Urban Industrial Style Wall Shelves. Wall fixings not included. Accessories for display only and not included. Urban Industrial Style Set of 2 Wooden Wall Shelves. 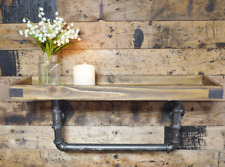 A fabulous urban industrial style set of 2 wooden wall shelves. Wall fixings not included. Antique Brass. Zinc alloy. Drop Handle, Fixing Centres 96 mm. THIS PRICE IS FOR TWO HANDLES. complete with machine screws M4 x 25mm. If you do not have legs currently on your furniture then you can use a long 6mm, 8mm or 10mm bolt and try to screw in to the bottom of your furniture. With A ROSE GOLD / COPPER Finish. 4x FURNITURE & BED FEET. NEW ITALIAN RETRO STYLE, IN STOCK, TRUSTED UK SELLER !! FOR EASY FIXING. Excellent quality. We do Pre-Drilled, Threaded, M6(6mm), M8(8mm) and M10(10mm) fittings on most of the furniture feet. 4x FURNITURE & BED FEET. If you do not have legs currently on your furniture then you can use a long 6mm, 8mm or 10mm bolt and try to screw in to the bottom of your furniture. 4 Castor Cups for tiled or wooden floors 50mm diameter. Felt base to protect flooring. Brown. John Lewis. Contemporary Zig Zag. Wall Cabinet. PRE-DRILLED HOLES FOR EASY FIXING. 1 x 225mm (9")Heavy Duty Scaffold Board Shelving Bracket. Our scaffold board brackets are perfect for that rustic industrial look. Handmade and stress tested by ourselves, they are available in sizes from 225mm (9").